It’s August and although most people are getting ready to send their children back to school or finishing off their holidays it is prime time to get ready for Christmas products. 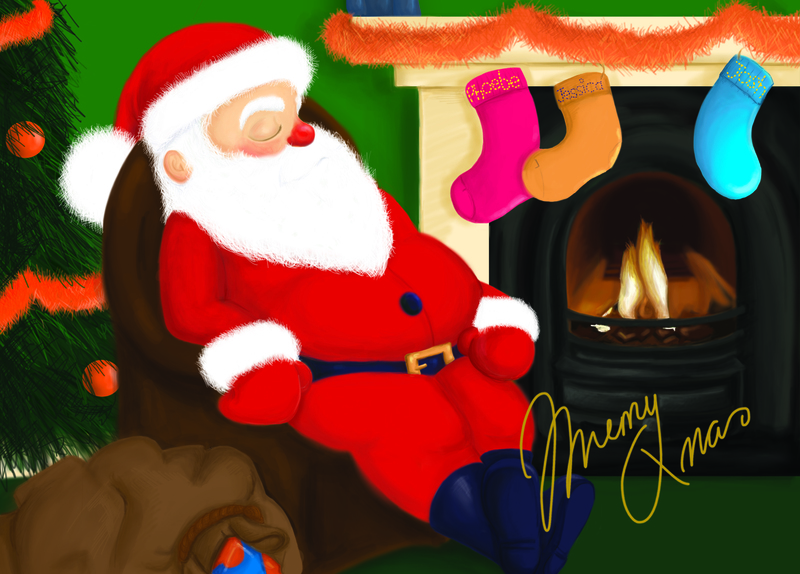 I try to create a unique Christmas greeting card each year for our families and as time comes into the autumn period I get pretty busy….so I decided whilst I had a bit of spare time on my hands I’d experiment with Adobe Photoshop. As a vector illustrator turning to Photoshop doesn’t always thrill me as much. However this time I wanted to explore the digital painting craze that seems to be everywhere. Bear in mind this isn’t my usual style and it is personal illustration rather than to market it as part of my portfolio. In a way, it’s just like me painting a portrait…not going to be selling millions, but it’s okay as a one off.